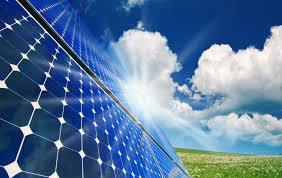 FULL Master scholarship "Solar Energy: Science and Materials"
*Please use your Agent account to make application. Energy is essential for any human activity. It affects all aspects of our social life, which include science, technology, economics, politics, education, healthcare and sociology. Global demands for clean and efficient energy solutions require engineers with knowledge and skills which cover fundamentals of current energy sources, whilst capable of specializing in one of the areas of renewable energy industry. This underlines the main idea of the master’s program Solar Energy: Science and Materials. The two-year program of study provides the students with theoretical and practical skills necessary for development and modernization of solar energy field within renewable energy sector. Upon completion of the program the students will be capable of using new technologies and innovative ideas for implementation of environmentally friendly solutions to global energy problems.